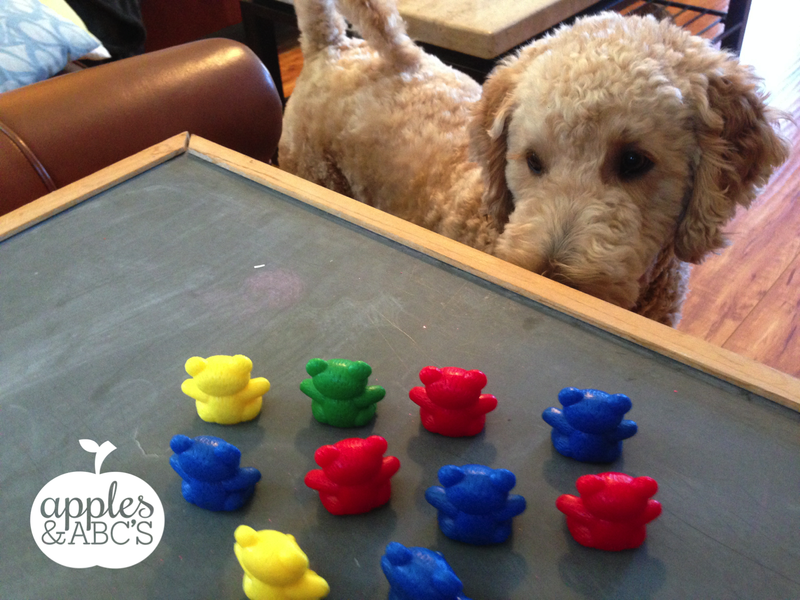 Kids LOVE using manipulatives during math time and I LOVE teaching with them. 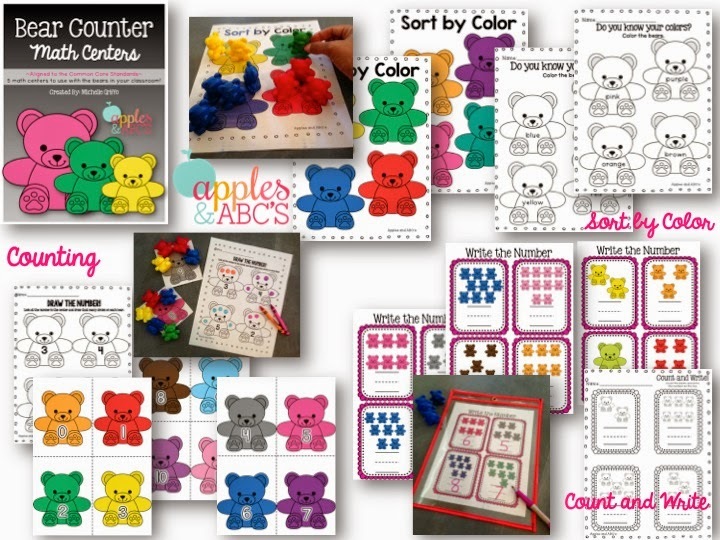 I had a ton of these math bear counters in my room, but didn't have any extra activities to use them with. 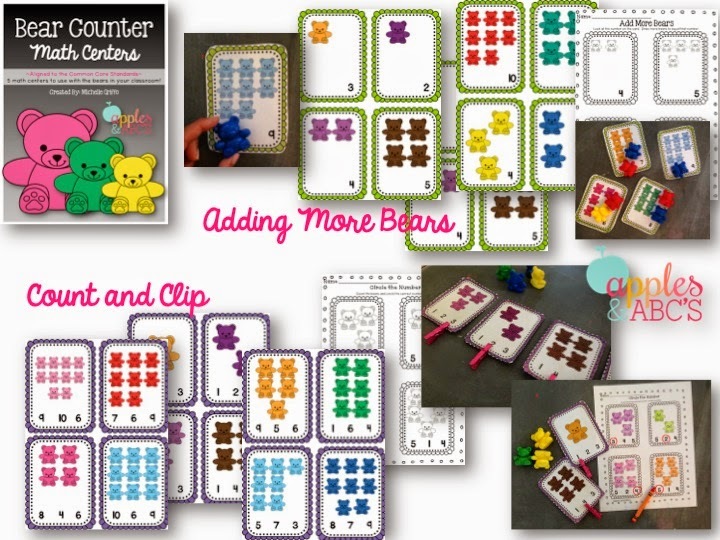 I created this Bear Counter Math Center pack to utilize the math manipulatives that you hopefully already have in your classroom. 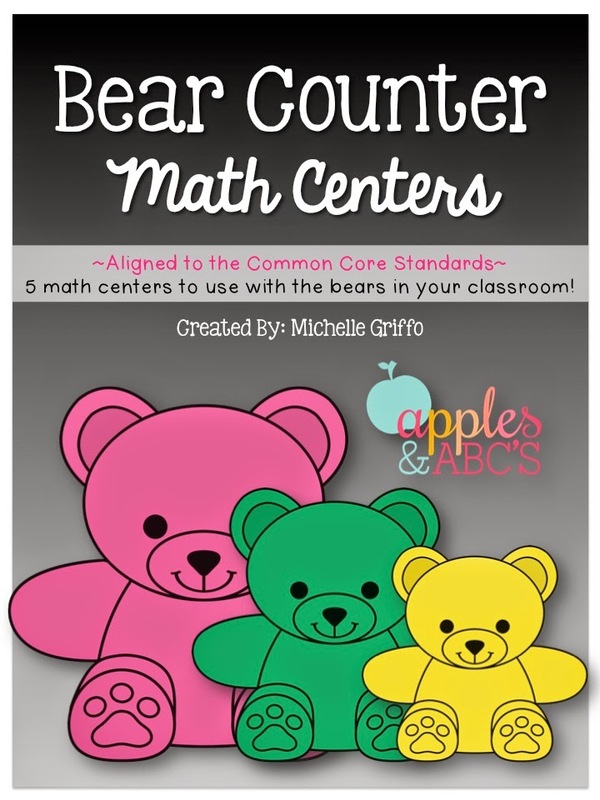 The Bear Counter Math Centers pack contains 5 math centers for you to use in your classroom. 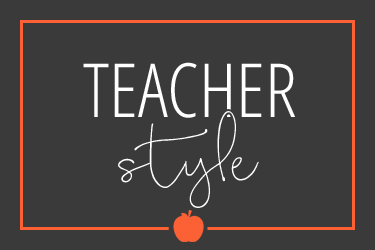 Each center has a colored math center and is accompanied with a recording sheet for your to assess their learning. 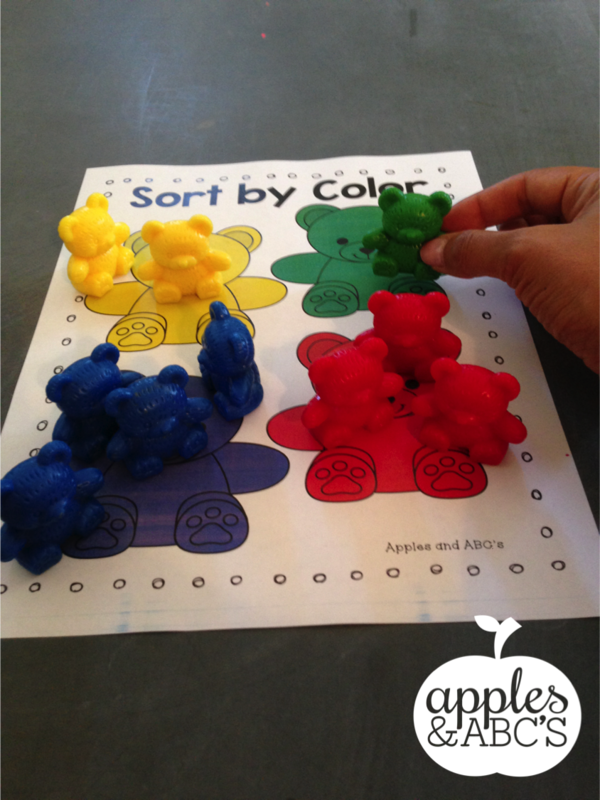 The first math center is to practice sorting colors. 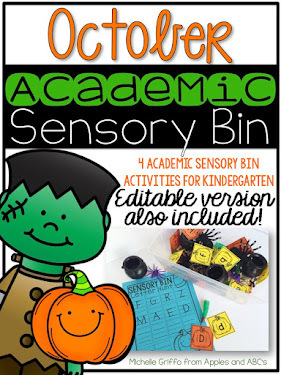 Entering Kindergarten, this should be a skill that the students already have mastered, but it is good to review to build confidence and make sure that all of the students have this skill. 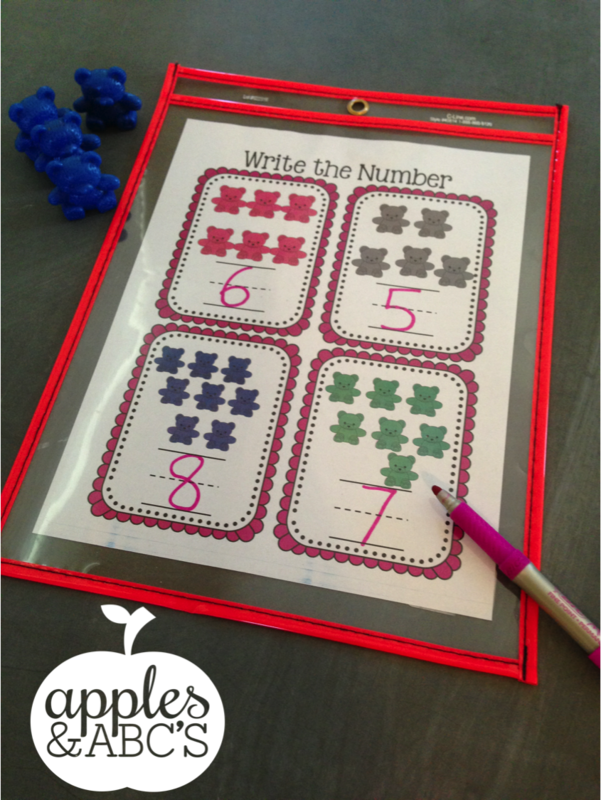 Next the students can practice counting and representing that number with the same number of objects. 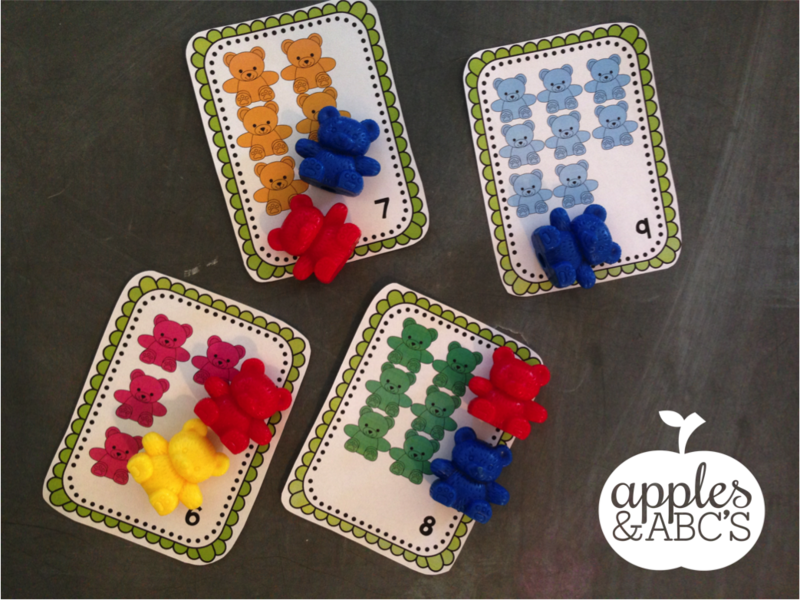 The students look at the number on the card and place that many bears around it. 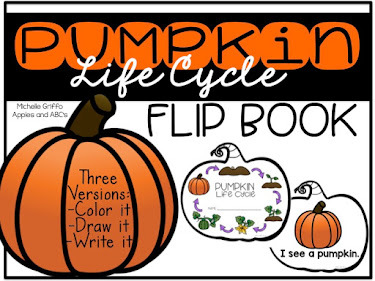 Here is a "Count and Clip" activity. 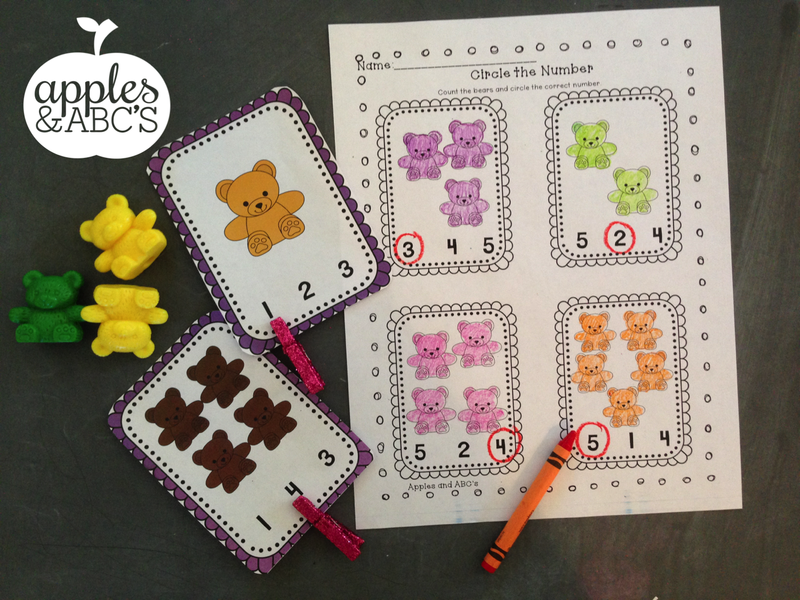 The students count the bears on the card, and clip the correct number. 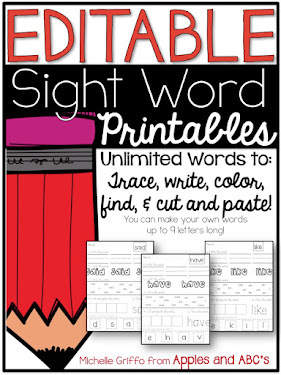 You could also laminate them, and have the students circle the number with a dry erase marker. 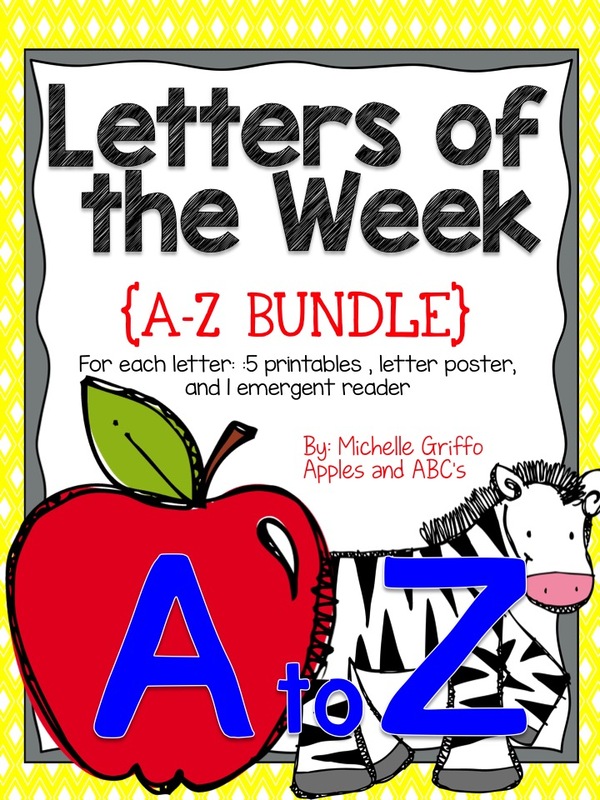 This is my favorite center, it is challenging for those advanced thinkers in the beginning of the year. 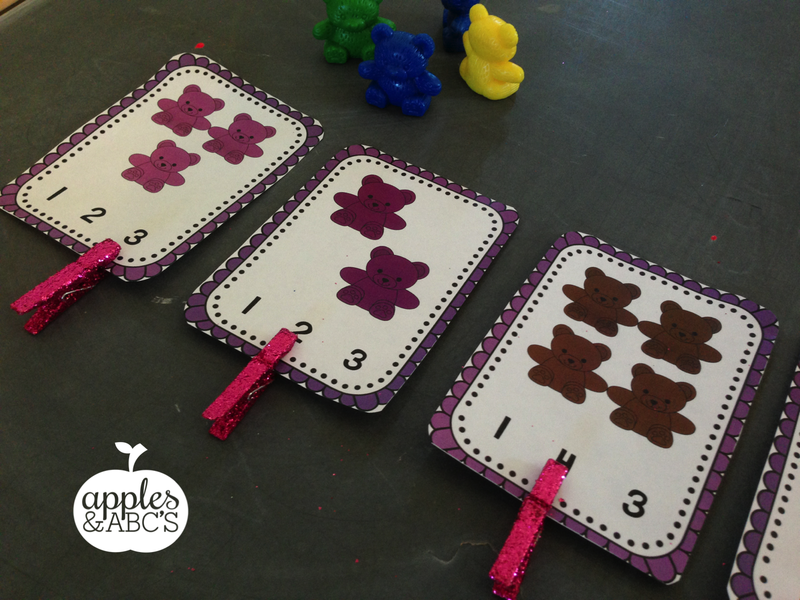 The students look at the number on the card and ADD ON to represent that number with the bears. 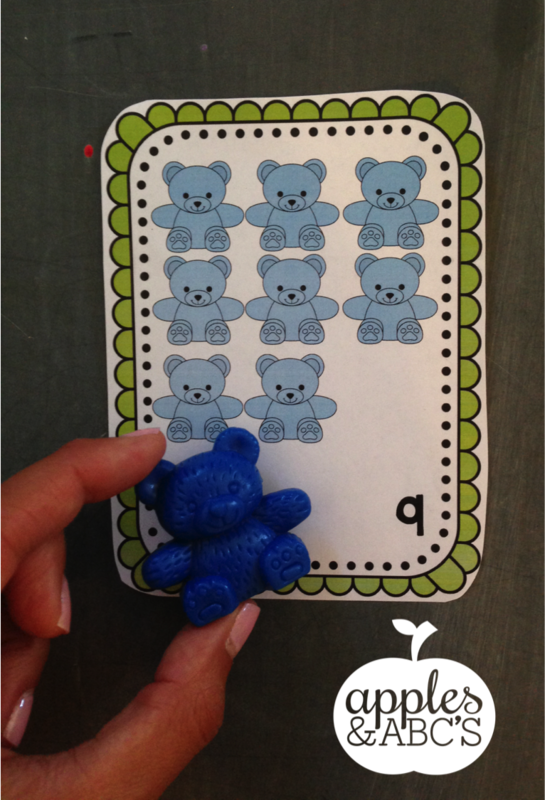 You can see that there is the number 9 printed on the card but only 8 light blue bears printed on it. 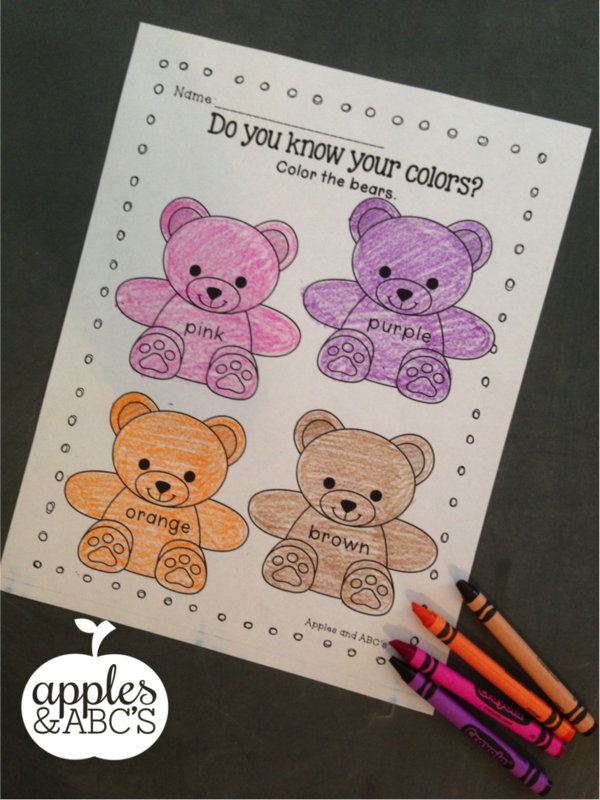 The students will ADD one more bear to display 9 bears total. 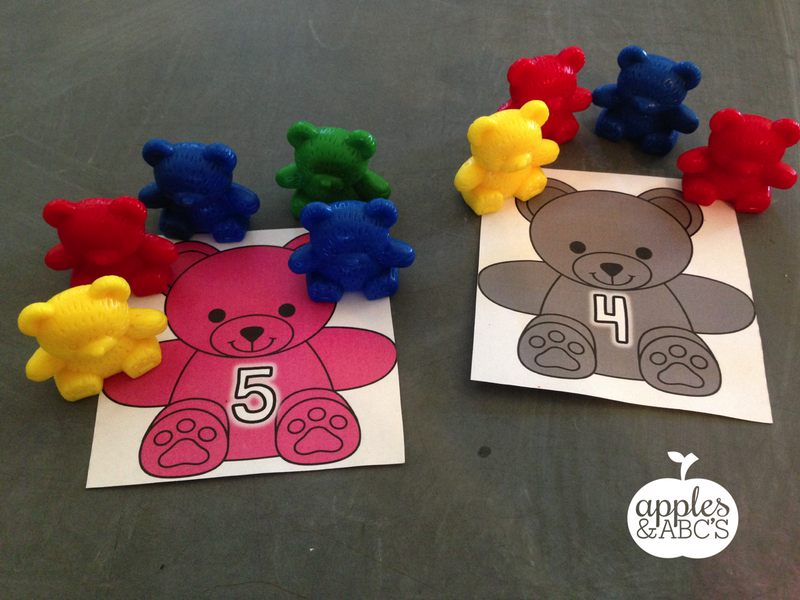 The students write the number under each group of bears. 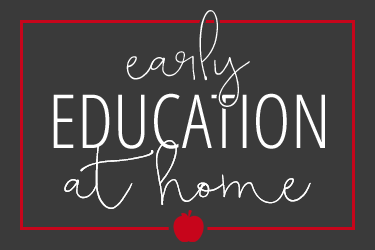 I placed the mat inside the clear, plastic pocket so the students can erase and play again! 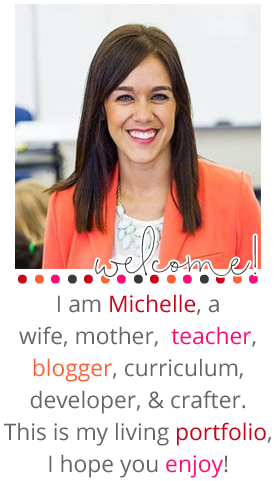 Here is the whole bear counter unit at a glance! 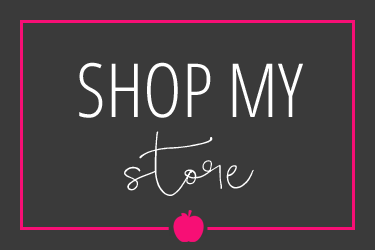 Head to my TpT Store for more details!